Both full-time & part-time positions are available! “Pro deals” on paddling gear and outdoor clothing! 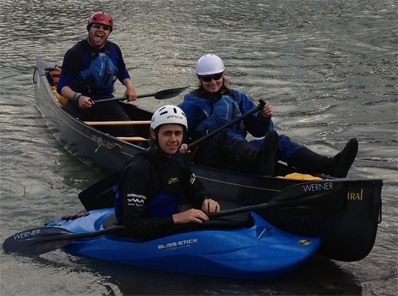 Our Paddling Instructors are seen as the face of Undercurrents! You love to share your infectious enthusiasm for paddling, as much as teaching good skills. Ideally you possess current Paddle Canada instructor certifications in at least one of the following: canoeing, kayaking, paddleboarding. Other recognized certification will be considered. If you are an experienced paddlers who meets all of Paddle Canada’s instructor prerequisites, then we can help you get the required certification.